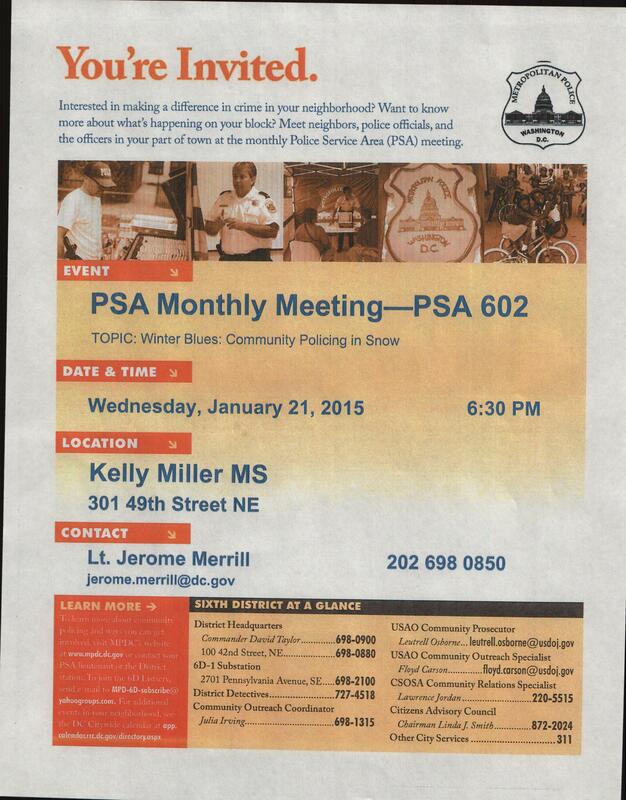 This is a friendly reminder that the monthly PSA 602 meeting will be held at the Deanwood Recreation Center today. The meeting will start promptly at 6:30PM and the agenda will be open forum today. The WED, May 21, 2014, PSA Community Meeting will be held at Kelly Miller School, 2nd Floor Library starting sharp at 6:30 pm. The meeting will be run by Sergeant Brescia, Sergeant Williams and Sergeant Bagshaw.